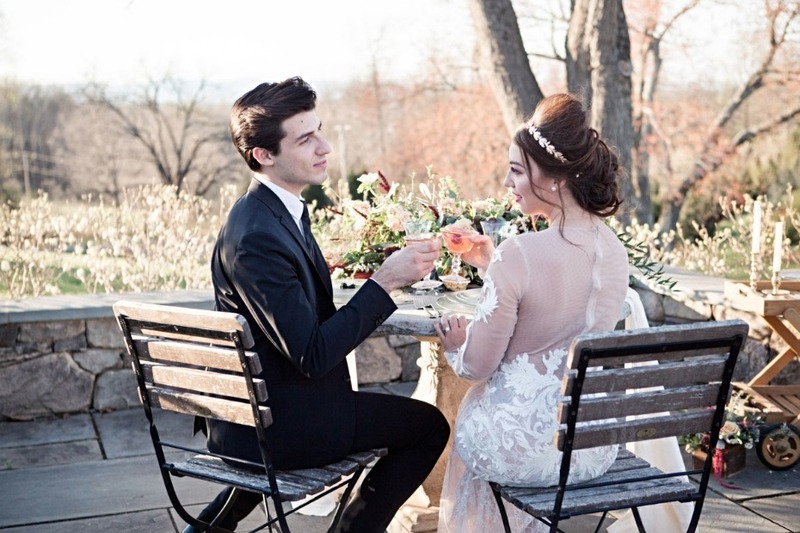 The jaw-dropping peach cake with white flowers and gold foil is sure to please, and what about the model brides stunning hand sewn gown from Sheri Autry Couture? 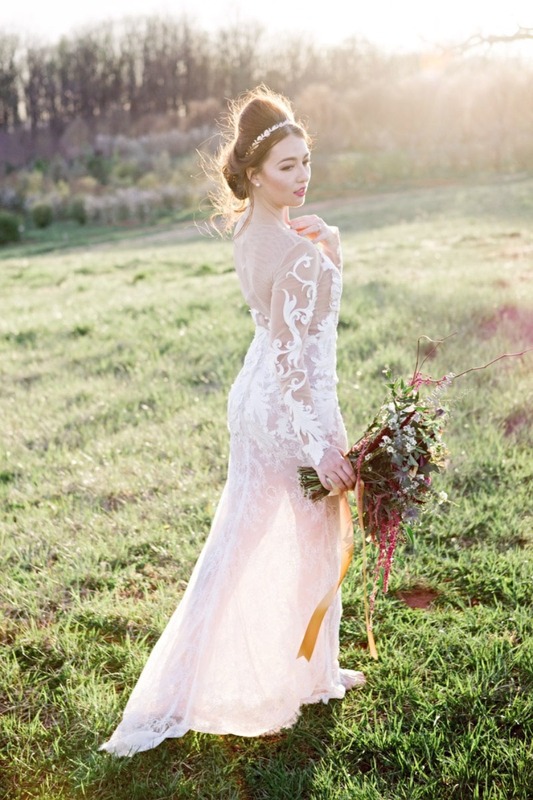 Stunning! 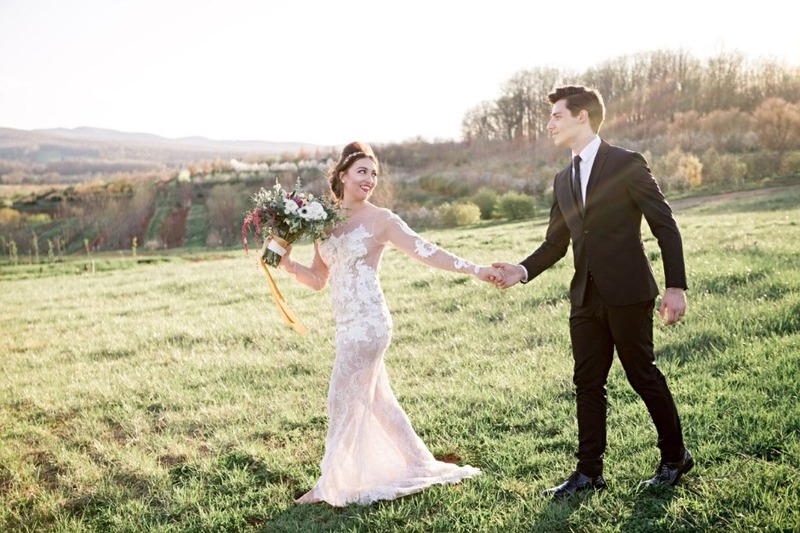 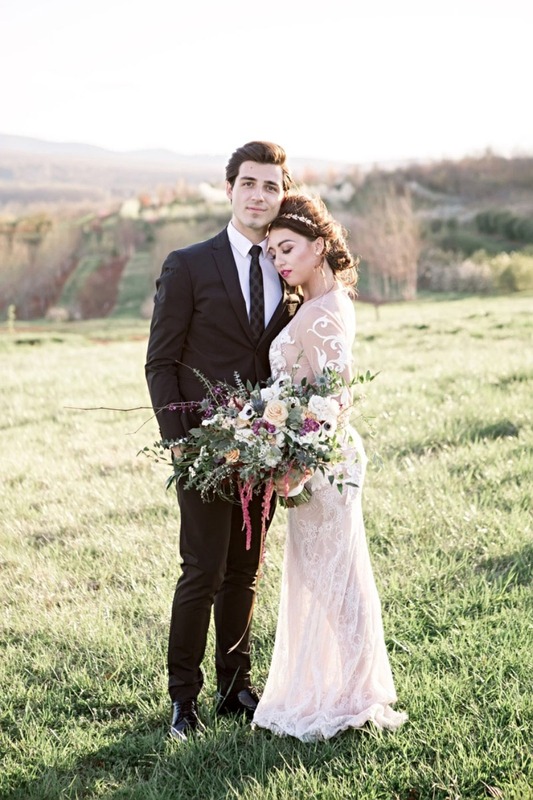 We absolutely love long sleeve gowns for fall weddings! 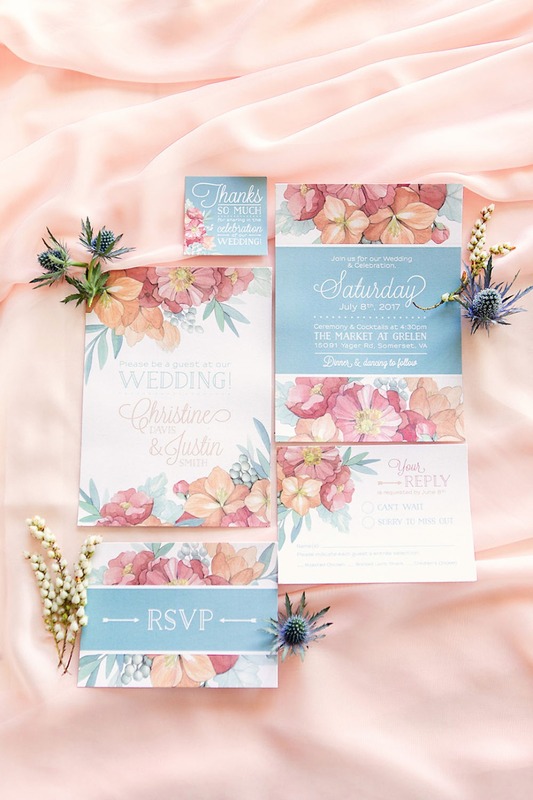 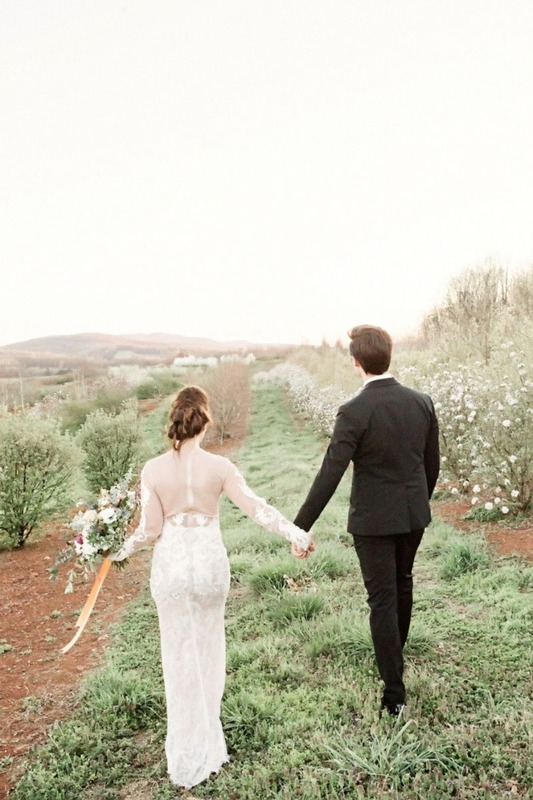 Keep scrolling for more peachy goodness below, and be sure to visit the full gallery captured by the talented Ashley Susan Photography after. 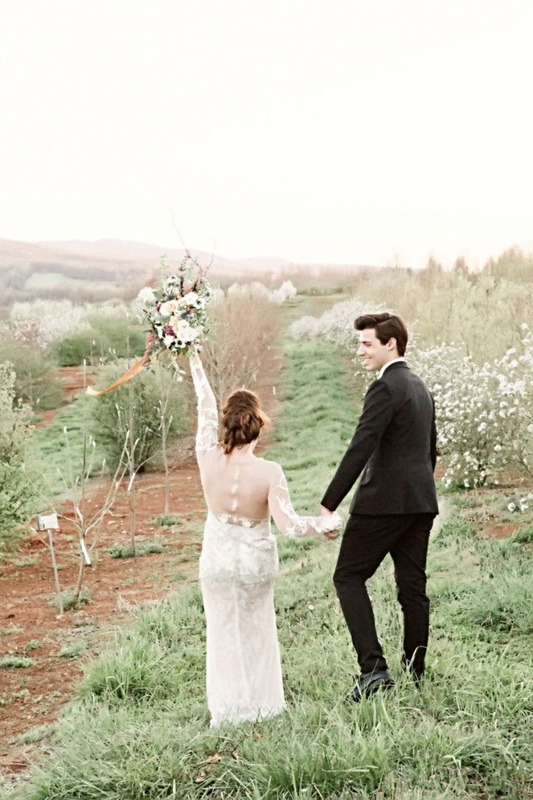 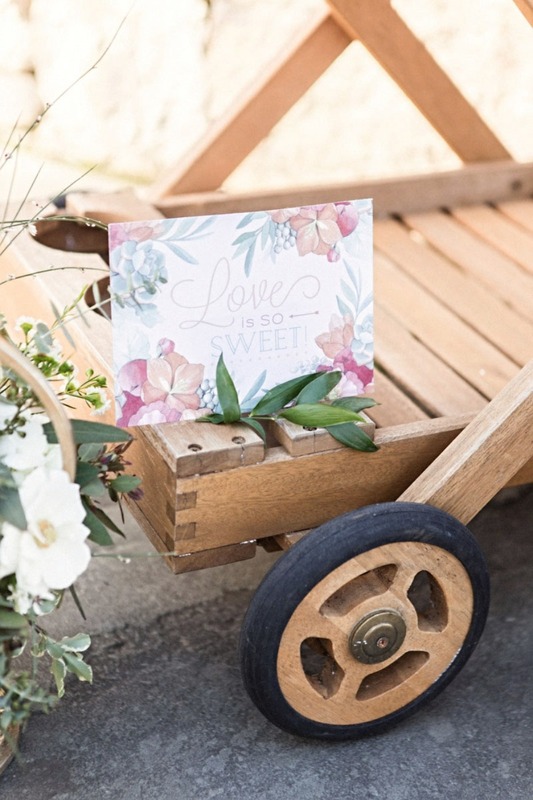 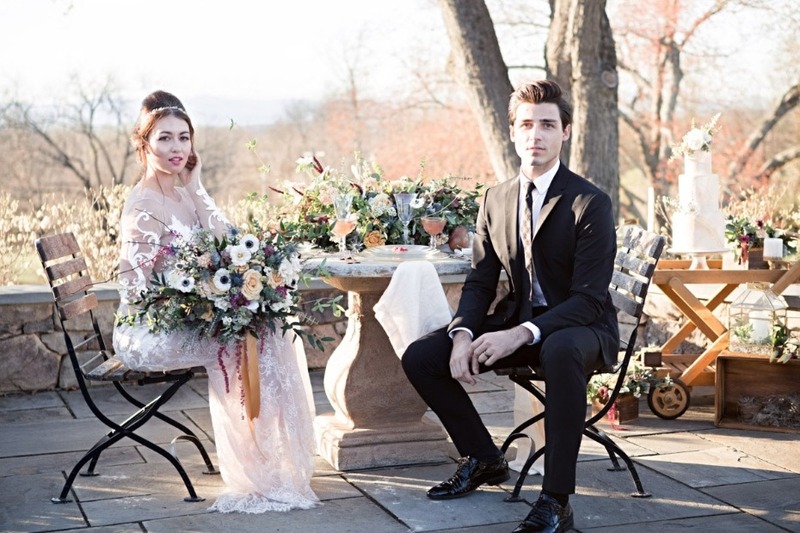 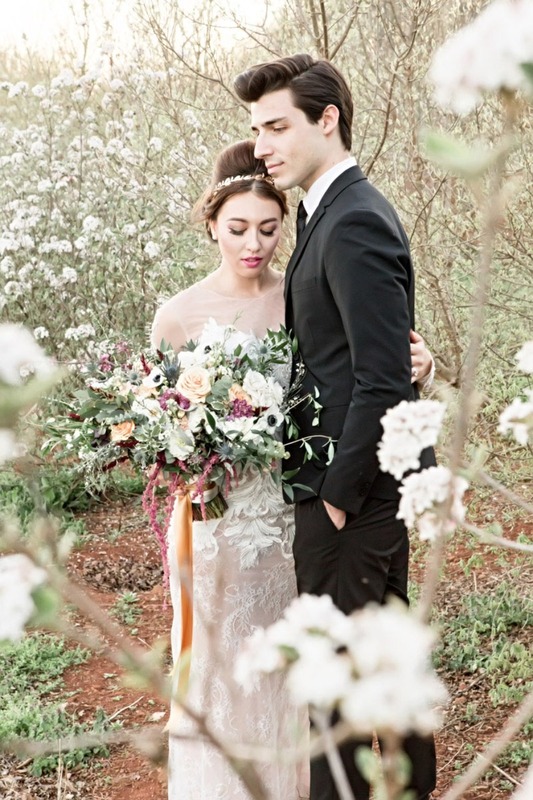 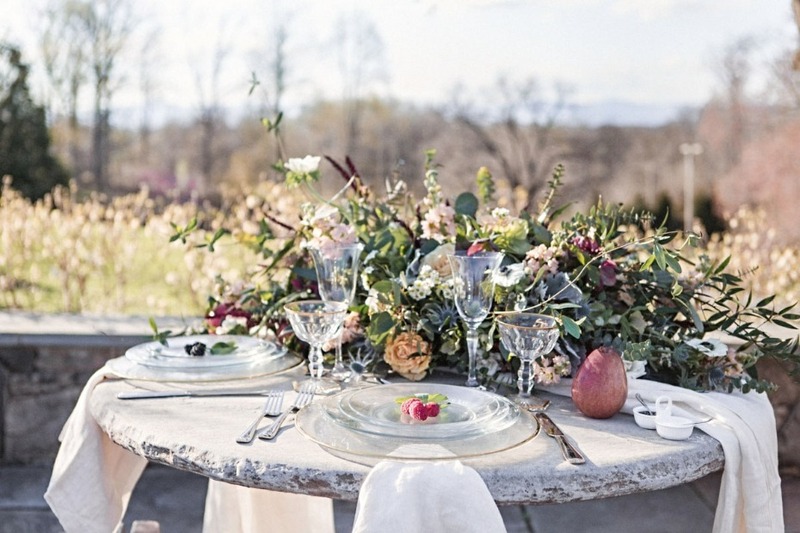 From The Market at Grelen: This garden wedding setting was the perfect location for this peach inspired elopement. 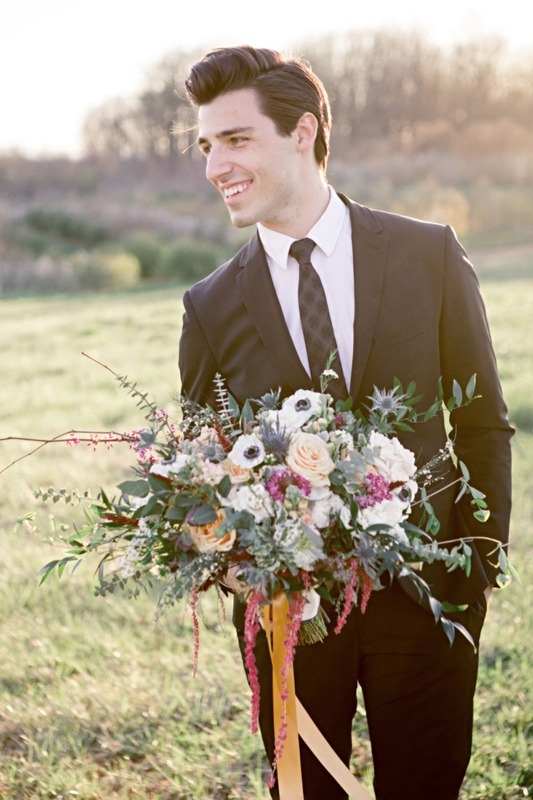 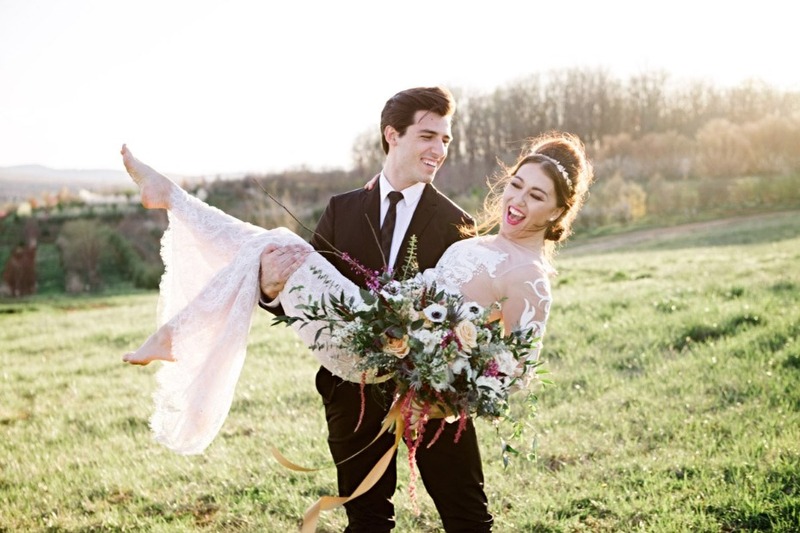 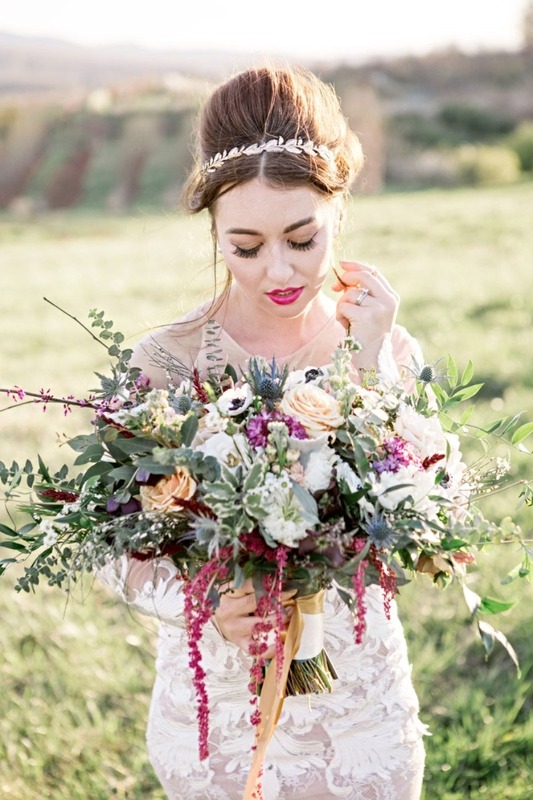 Meant to inspire the bride considering an Fall elopement, but who doesn't want to forfeit all the aesthetically beautiful details that go into a large scale Fall wedding. 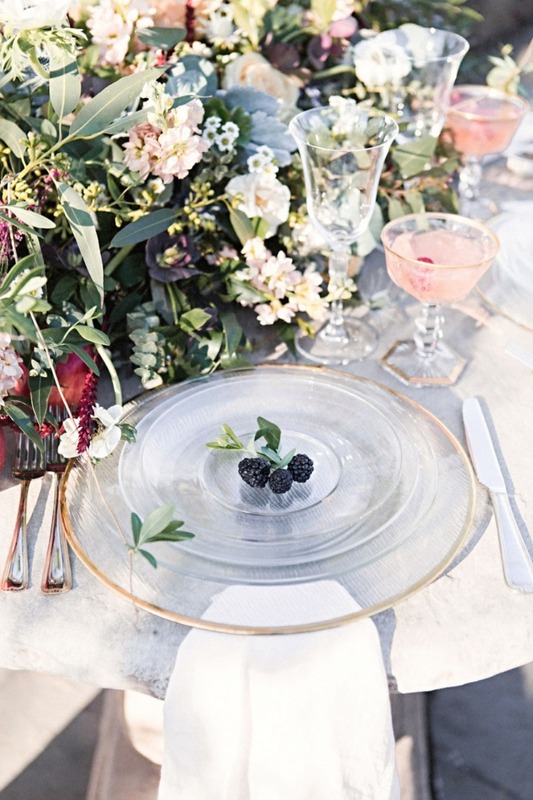 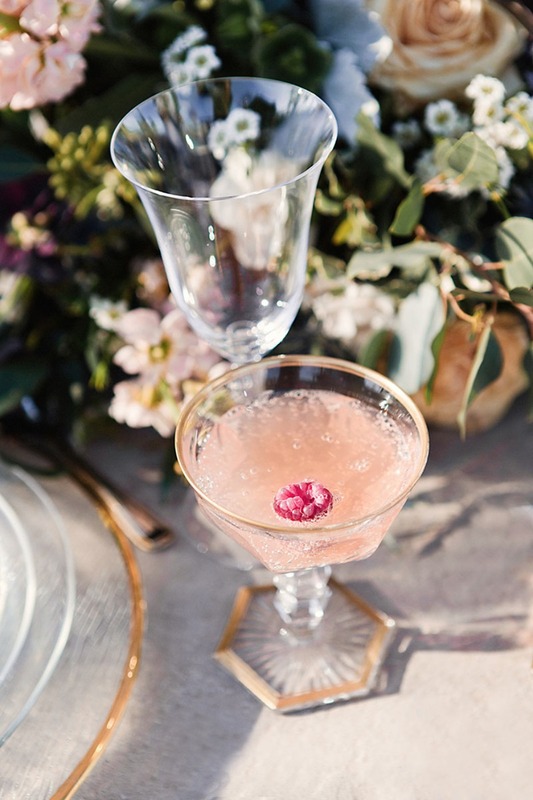 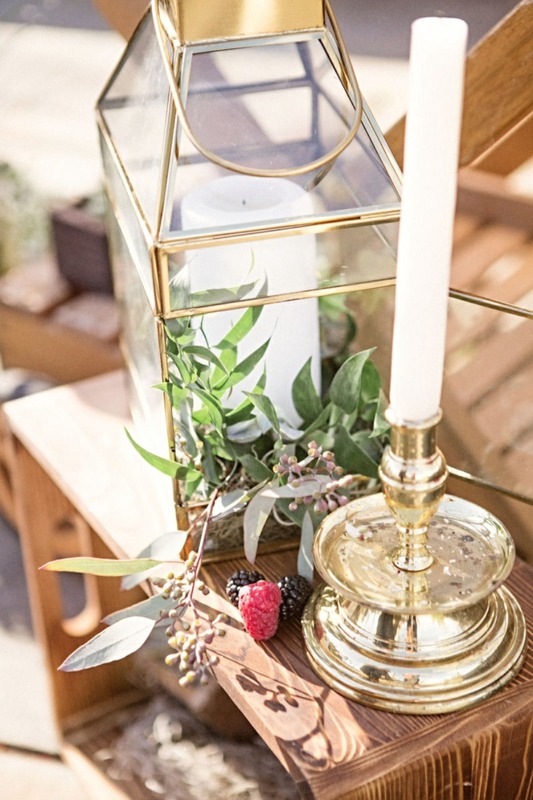 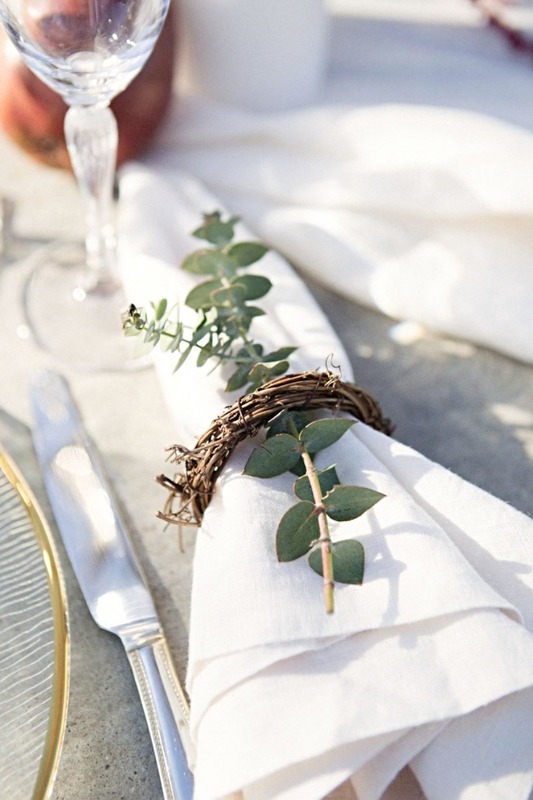 A stone sweetheart table was brought in and adorned with wild greenery, pops of berry, and clear glass plates - letting the centerpiece be the center of attention. 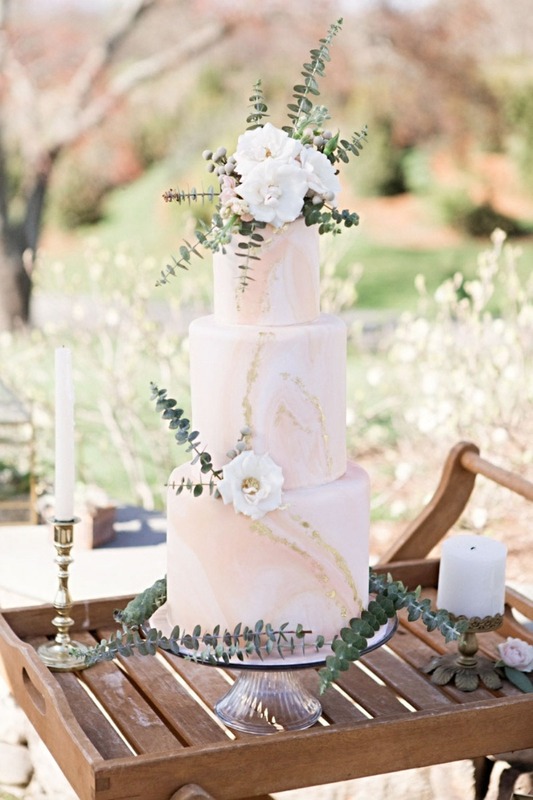 Our peach cake adorned with white flowers and bits of gold added to the elegance of the day. 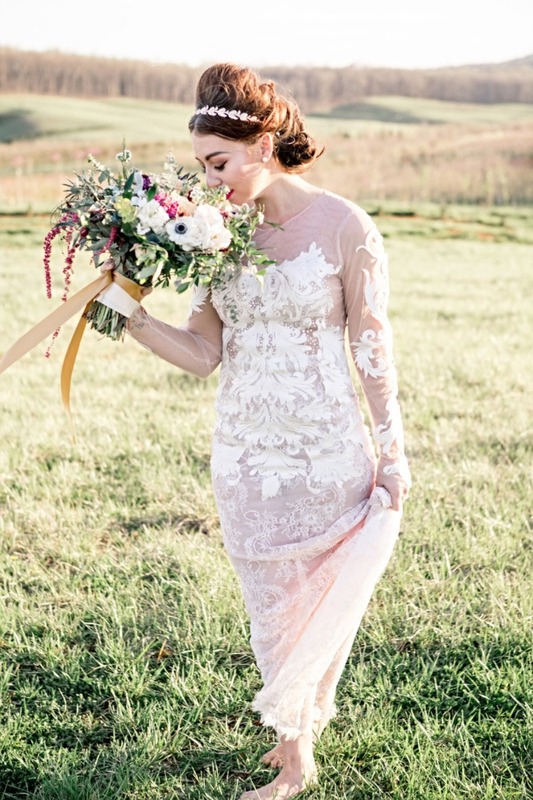 The bride's gown was hand stitched for the occasion by local couture designer, Sheri Autry Couture.